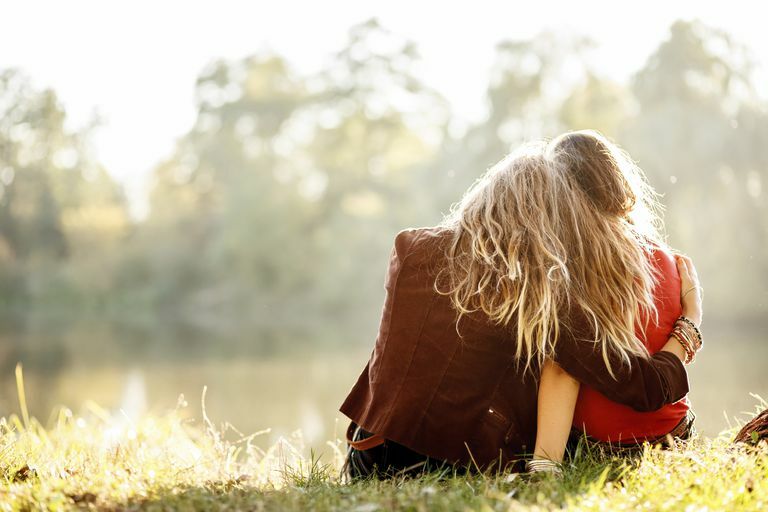 Here are 11 truths about friendship every girl needs to know?. Most young people, especially girls, have bought into the idea of a BFF, or best friend forever. But this idea of finding a best friend and keeping her forever may be more of a myth than a reality for most girls. What’s more, the idea of BFF has morphed into one where they never fight, they are super close and they are always happy. And, the more BFFs they have, the cooler they are. Consequently, many girls succumb to the pressure to find a BFF and fall into the trap of trying to be liked by everyone and to please others. Not only is this unhealthy, but it also can open the door to cliques and peer pressure. Meanwhile, research has shown that girls who are more authentic with their friends including being open and honest about their true feelings have closer connections with their friends. Yet, for many girls, when their social life goes awry, they interpret it as a catastrophe instead of par for the course. They blame themselves and often suffer in silence. For this reason, it is important to talk with your daughter about real-life friendships. Teach her that friendship issues are a fact of life. Tell her that it is normal for a friend to be occasionally moody, that girls will sometimes like the same boy and that friends do not have to agree on everything. Make sure she also can spot mean girls and fake friends, and that she knows the attributes of a healthy friendship. But most importantly, share the cold, hard facts about real-life friendship. When you do, then your daughter is less likely to beat herself up when conflicts occur. And she will be more willing to seek out support and move on. Instead of expecting the perfect friendship all the time, she will learn to adapt when her friendships hit a bump in the road. Here are 11 hard but important truths about friendships that every parent should tell their daughters. By doing so, maybe you may spare her some excessive heartache down the road. There will be moments in every girl’s friendship where she is irritated with something her friend says or does. In a healthy friendship, she can share her true feelings without fearing that the relationship will be over. In fact, these conflicts sometimes make a friendship stronger and closer. Additionally, there will be times, where your daughter will need to accept little quirks about her friends that bug her and let them slide. She should not try to fix or change her friends. When she is accepts her friends for who they are, and they accept her for whom she is, the friendship will become stronger in the end. Exclusion may happen because someone is bullying your daughter by attempting to ostracize her. But other times, it is a simple mistake and someone forgot to include your daughter. Other times, it is a matter of space and the person inviting was limited on how many people they could include. The important thing to remind your daughter is that it will happen and that it is normal to feel sad about it. But it also does not mean life is over. Be sure your daughter realizes that she does not have to wait on invitations to do something fun. Instead, encourage her to do the inviting next time. Remind your daughter that “best friends forever,” rarely happens. It is just like dating. Sometimes friends break up, too. When a friendship does end, it is usually a sign that something was broken. Encourage your daughter not to dwell on what could have been, but to instead look at it as an opportunity to let the next good friend in. Recognize that your daughter may be saddened by the experience, but remind her that her heart is resilient. She will find a new close friend again soon. It is normal for friendships to ebb and flow and expecting something different is not healthy. Remind your daughter that there will be times when her friend is too busy with activities and commitments to spend time together. Or, there may be times when she is too busy. Either way, it may hurt to not have time together, but it is rarely personal. Making it personal usually makes things worse. Be sure your daughter understands that being too clingy or demanding can drive a friend away. Help her recognize that a break from a friend is not a bad thing. Instead, it allows her the space to figure out other friends she can connect with. Many girls make the mistake of dropping their friends as soon as boy comes along. But just like her friendships, her dating relationship is healthier when she doesn’t spend all of her time with that one person. It is especially unhealthy if her boyfriend demands all of her time. Monopolizing and controlling your daughter’s schedule is a warning sign of dating abuse. Be sure your daughter knows that the healthiest relationships are balanced with her spending some time with friends and some time with her boyfriend. Also, be sure she knows how to spot a bullying and abusive boyfriend before she gets in too deep. Girls often compare their friendships to what they read about in books, see in the movies or watch on television. Remind your daughter that these examples are fiction and not real-life examples. They also are not attainable. Likewise, what she views on social media sites, such as Instagram and Twitter, also are not good indications of what other people’s friendships are like. Remind your daughter that social media is just a highlight reel of someone’s life. Most people only post pictures that show the exciting parts of their lives. What your daughter does not see are the times when these classmates are also at home bored. Be sure your daughter knows that it is unrealistic to compare her entire life to such a small portion of another person’s life. Research shows that it is not only healthy to have friends in different circles, but it also helps prevent bullying. For instance, your daughter may have friends who play the same sport or instrument, friends she has known since elementary school and friends that she knows from church. But what she may not realize is that just because she has friendships with each of these different people, this does not automatically mean that they will like each other. Tell her not to force the issue. It is natural to spend time with different sets of friends. But she also should watch for anyone who is being rude, disrespectful or mean to one of her friends. While it is fine for her friend to not get along with someone, it is not a license to bully the person. If your friend witnesses bullying among her friends, be sure she is equipped with the tools to stand up against the bullying. She should never be a bystander to bullying among her friends. Be sure your daughter knows that there will come a time in some of her friendships when she realizes that the friendship is one-sided. This realization will hurt her, but remind her that moving on allows room for other, healthier friendships. It is especially important that she distances herself from mean girls and toxic friends. The more time she spends with unhealthy people, the greater toll it will take on her. The sooner she realizes that she needs to move on, the better it will be for her. Be sure you start early teaching your daughter how to be assertive and to stand up for what she believes in. Once she hits middle school the social hierarchy intensifies and out of this cliques and mean girls emerge. If your daughter knows who she is and is comfortable in her own skin, she will be more resilient in withstanding the pressure to fit in. But, there are some girls that are so desperate to belong and be popular that they will allow others to control them. Be sure you equip your daughter to deal with this. Remind her about the pitfalls of popularity and the importance of being true to who she is. Young girls often wrongly assume that because they text and use social media, that they can keep friendships alive. But be sure your daughter knows that being friends on Facebook, liking pictures on Instagram and making a Snapchat story does not equate to a meaningful friendship. Healthy friendships develop when people spend time together, face-to-face. Encourage your daughter to spend time with her friends. Open your home and allow them to hang out there or be willing to take them shopping, to the movies, out for ice cream or sightseeing. The goal is that your daughter learns that she needs to spend time with her friends in order to develop a strong friendship. Remind your daughter that her friends will let her down. They will make mistakes and they may even hurt her. No one is perfect. But a good friendship is worth the effort she puts in. It will require an investment of her time and her energy. And it might get a little messy along the way. But if she works through conflicts, she might find that she is able to build something strong along the way. What’s more, there will be a lot of fun in between.